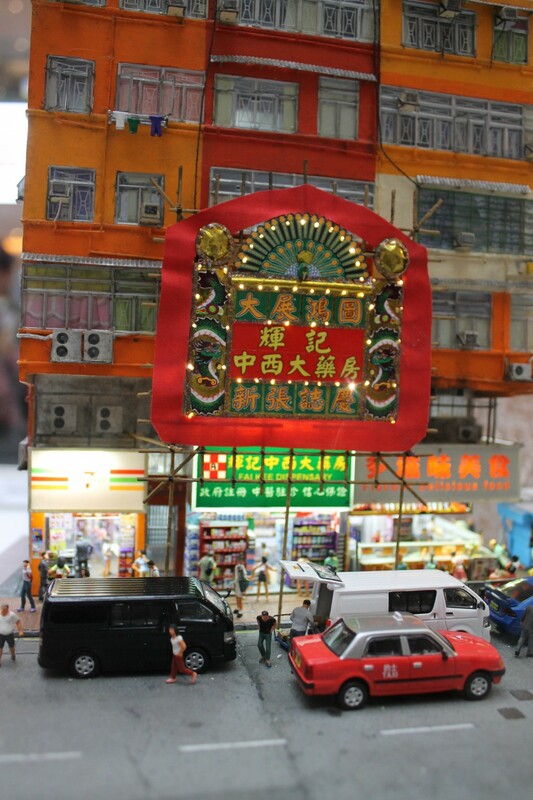 From dim sum in lavish feasts to rusty living quarters in hillside shanty towns, Hong Kong's past and present have been brought to life in an exhibition of miniatures in Tokyo, showcasing 48 models capturing the city's vibrancy with a touch of nostalgia. 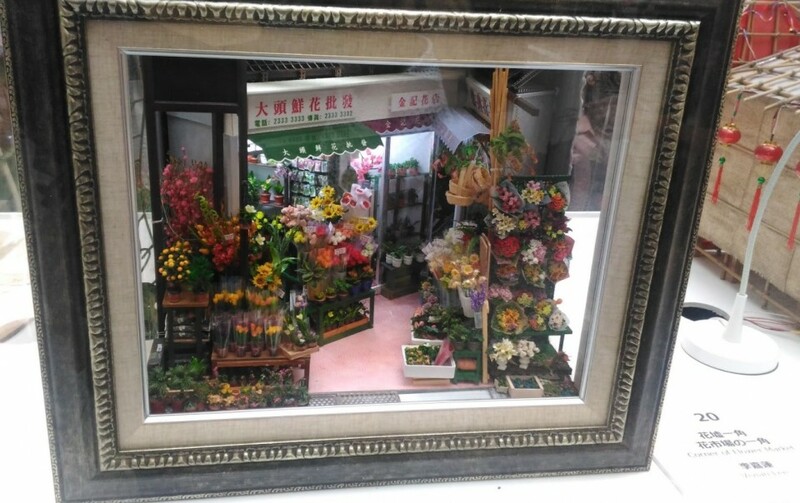 The miniature artworks, produced by 17 artists, feature cityscapes such as bustling streets and local stores, as well as aspects of daily life including public housing flats and village festivals. 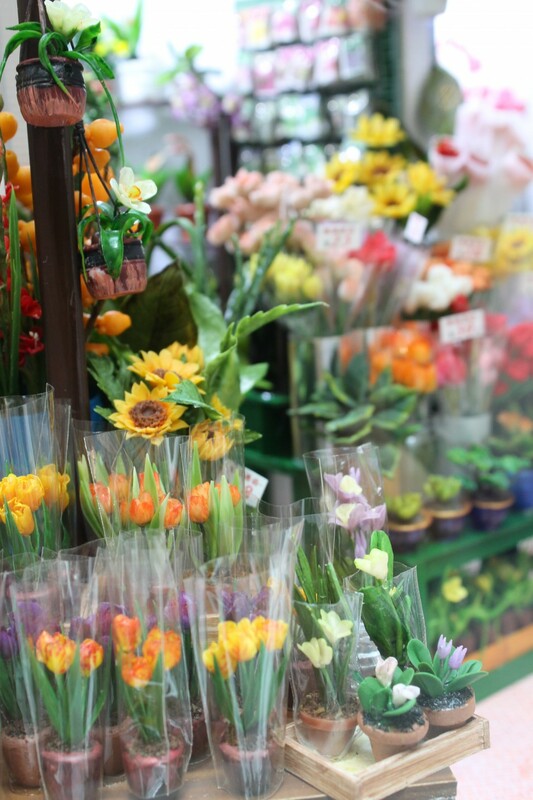 Lifelike flowers are featured in this model depicting the Flower Market in the lively Mong Kok district. 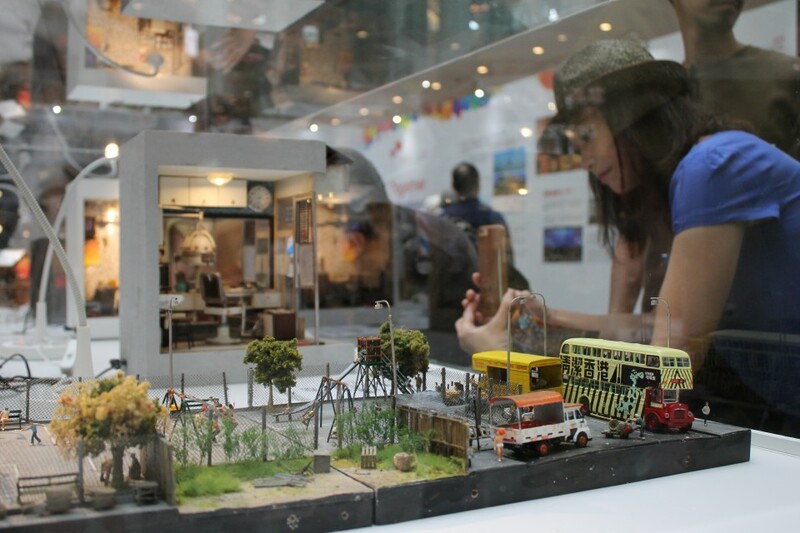 "I love nostalgic things and I wanted to find a way to preserve the memories, because views in Hong Kong are disappearing fast, that is why I started making miniatures," said Li Loi-yau, one of the artists. 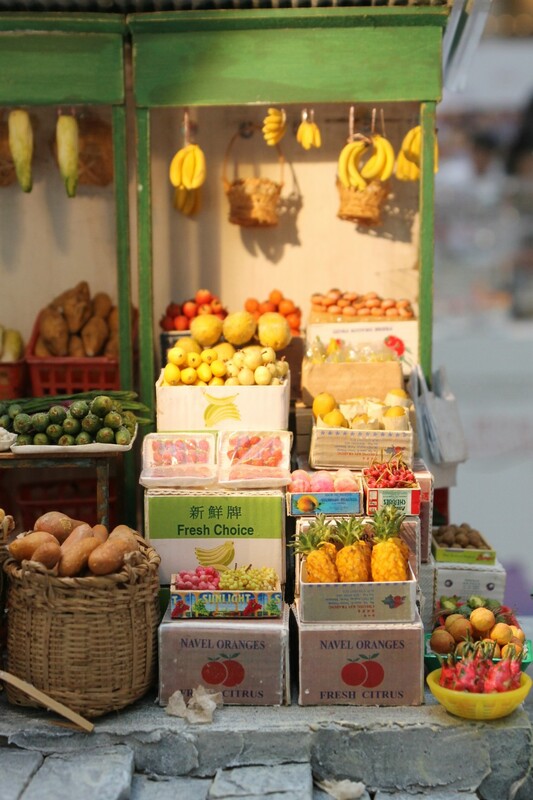 During a demonstration session, Li taught visitors how to make miniature plants using simple tools -- with leaves cut from colored paper and glued onto thin wires, and soil made from children's modeling clay covered with crushed tea leaves. 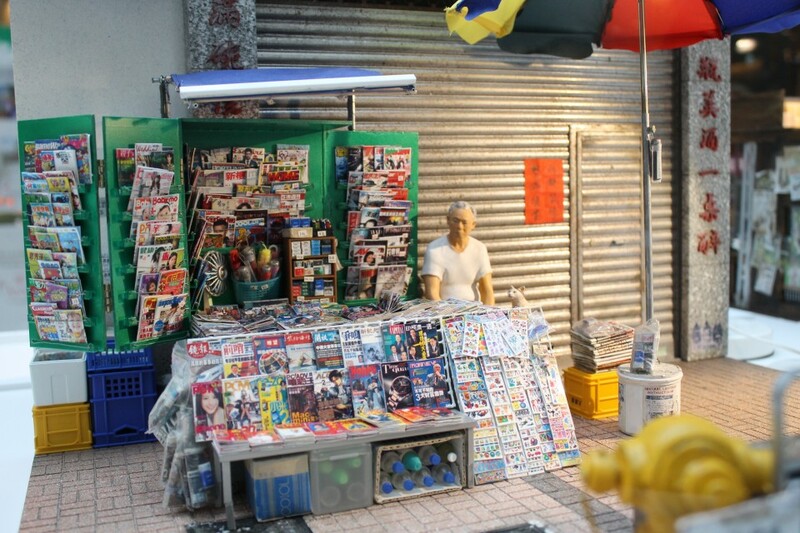 This model features a typical newspaper stand often seen outside Chinese "yum cha" restaurants on the streets of the former British colony in the 1960s and onwards, until they were gradually replaced by convenience stores and smartphones. 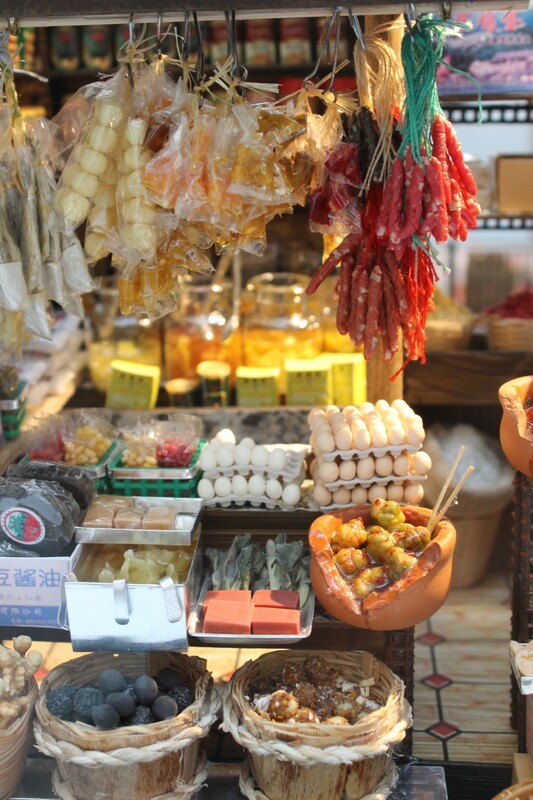 Tony Lai, whose works depicting "old Hong Kong" are so popular that he has recently launched a small studio in the city offering classes on making miniatures, said each project takes an average of about three months to make. 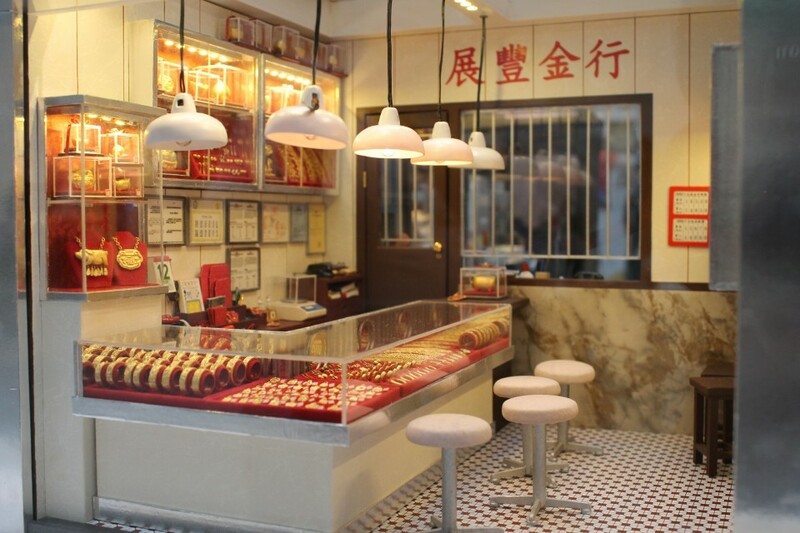 In one of his exhibits, Lai and two fellow artists recreated meticulous details of a traditional local-style cafe, from the grease-stained interior to the tiny replicas of freshly baked pastries displayed at the take-out window. 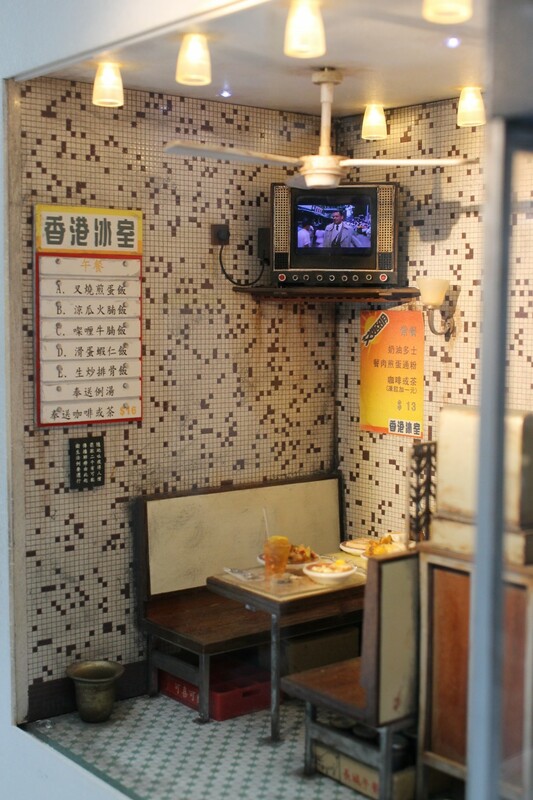 All this complete with nostalgic footage playing on a miniature TV and a moving ceiling fan. 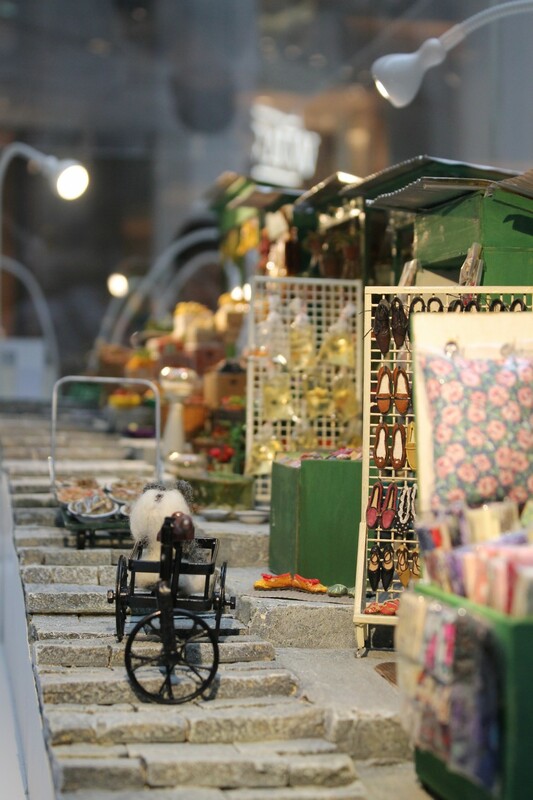 Artists typically use a 1:12 scale for the miniatures, although dioramas that depict larger constructions and street scenes, such as this model of an elaborate shop opening celebration, are shrunken to 1/76 the actual size. 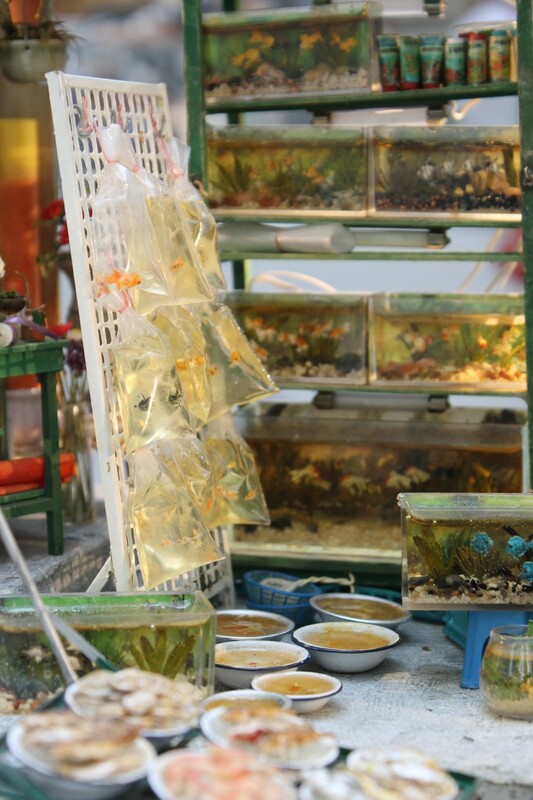 Miniatures of shops, such as a store selling stewed fish balls and other popular snacks and a decades-old a goldfish street stall, bring a sense of nostalgia to many locals. 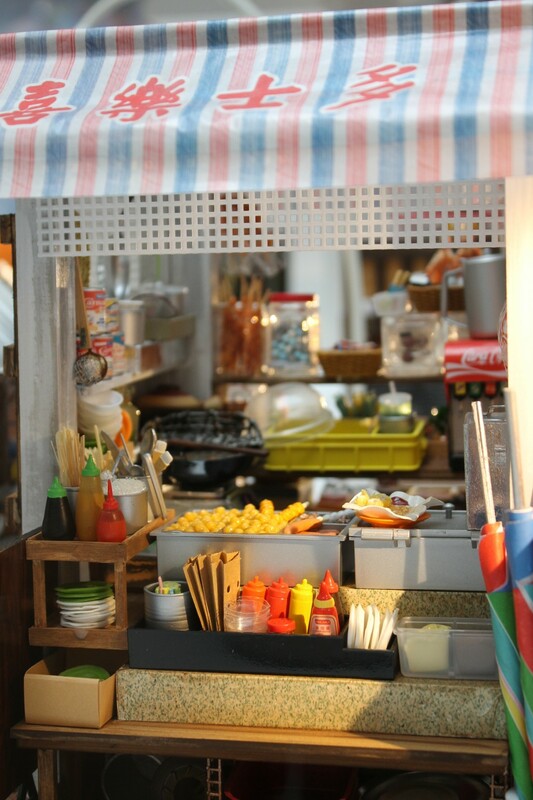 Perhaps a reflection of Hong Kong as a gourmet paradise, food is a major theme that pops up in many of the miniature models. 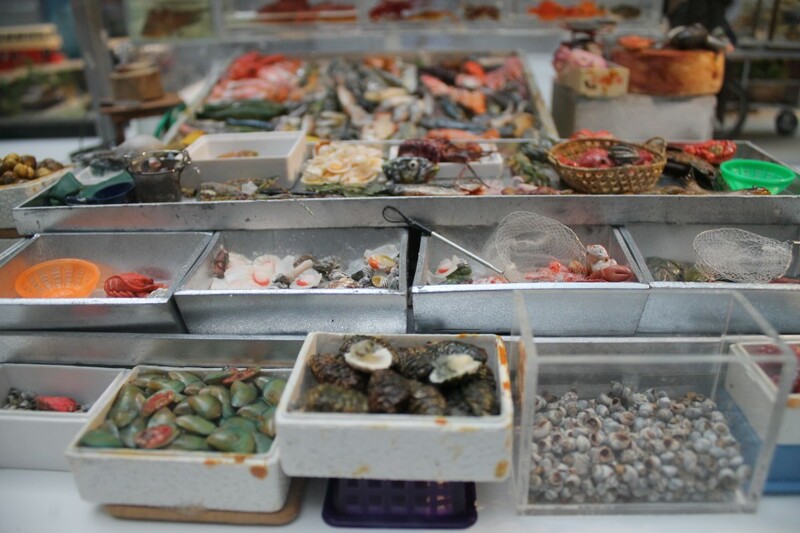 And a traditional grocery store selling everything from preserved duck eggs and pickled vegetables to Chinese sausages and condiments. 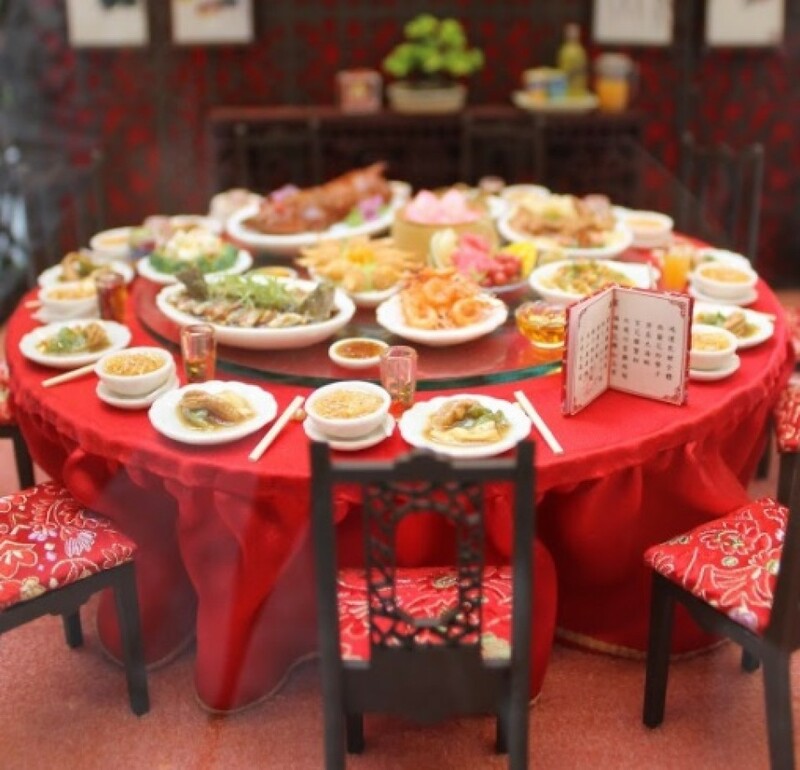 The exhibition, part of a series of events in Japan to celebrate the 20th anniversary of Hong Kong's return to Chinese rule, is being held in KITTE Marunouchi, near JR Tokyo Station, through Oct. 9, 2017.